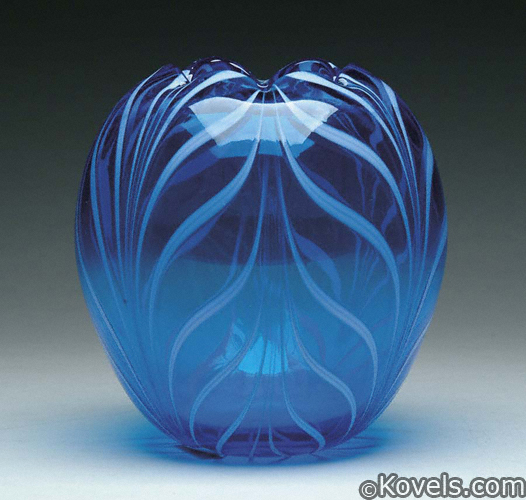 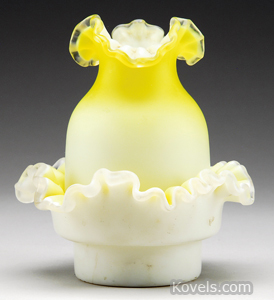 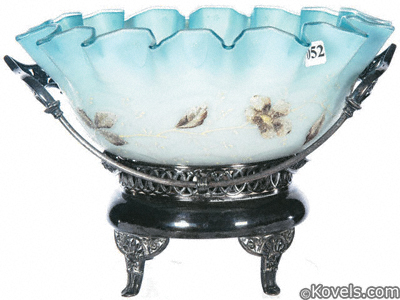 Satin glass is a late-nineteenth-century art glass. 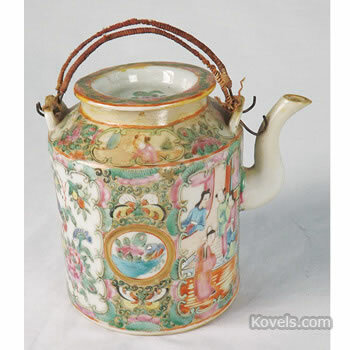 It has a dull finish that is caused by hydrofluoric acid vapor treatment. 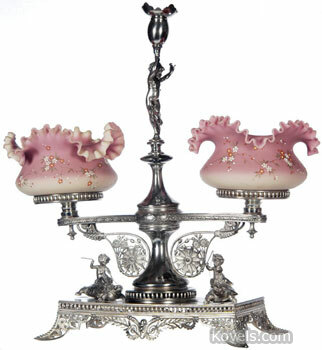 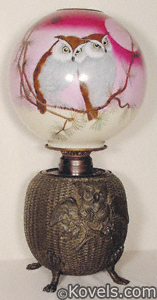 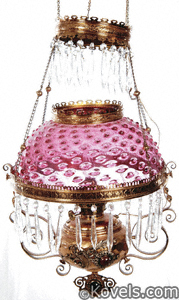 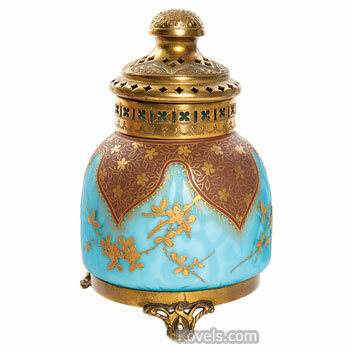 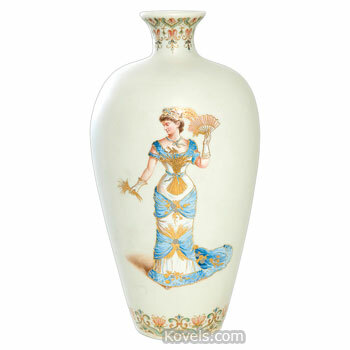 Satin glass was made in many colors and sometimes has applied decorations. 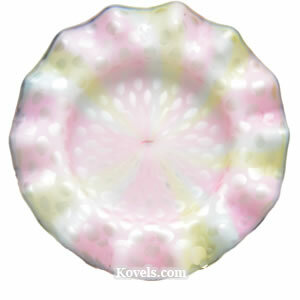 Rainbow satin glass has pink, blue, and yellow striations and a satin-like finish. 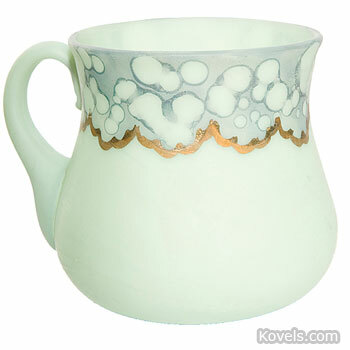 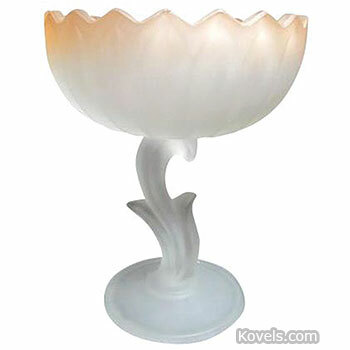 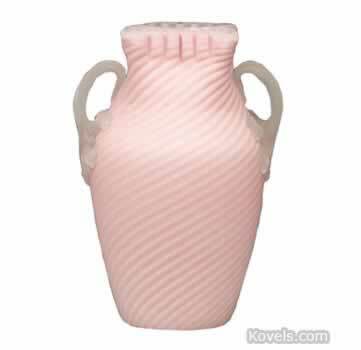 Satin glass is also listed by factory name, such as Webb, or in the Mother-of-Pearl category.